Muldrew Lake is 5 or 15 kms from Gravenhurst, depending on if you access the lake from Muldrew Lake Road in Town or from District Road #19 south of Town. 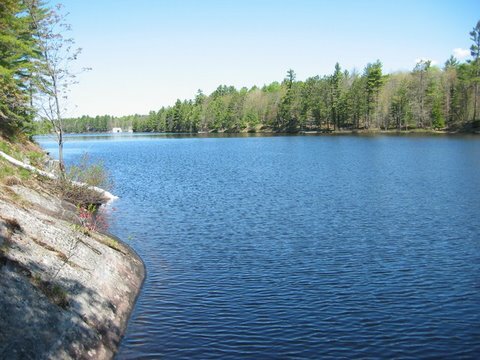 Muldrew Lake is divided into three locally known areas, Upper Muldrew Lake which is the northern part of the lake, Middle Muldrew Lake and South Muldrew Lake which is only accessible from District Road #19. 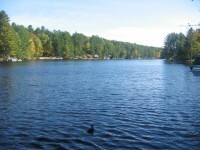 The lake is shaped like a horseshoe and the cottagers enjoy over 4 miles of boating. 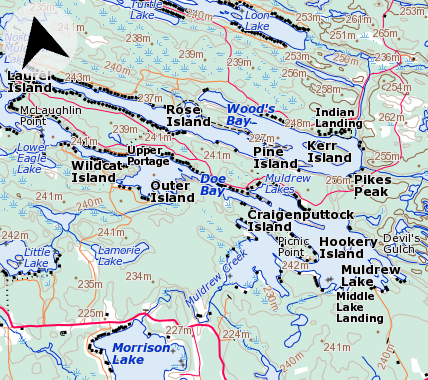 This is a larger lake, with about 400 ha. 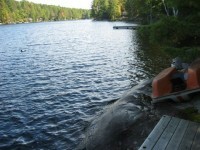 of surface area and an average depth of 21 feet and a maximum depth of about 60 feet. Although most gravel roads are open year round, the roads on the south side are seasonal and/or private. There are over 300 cottagers on the lake and over 90% are still used as cottages, even if they have been winterized. 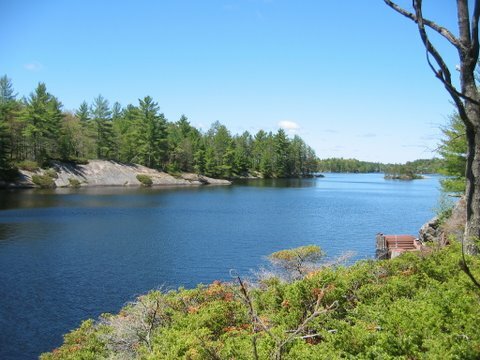 Those cottagers located on the Peninsula Road enjoy a pleasant walk along the cottage road that circles the peninsula and returns them home 1/2 hour later. Fishing is good from most docks…lots of Bass and pan-fry for the children to have fun with. 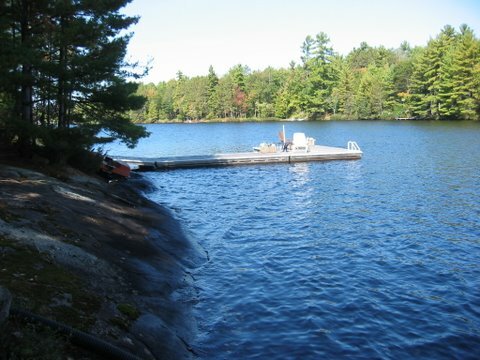 The shoreline is mostly Muskoka Granite rock and the trees are Birch, Oak, Maple, Tamarack and a variety of Pine. This is another ‘finger’ lake that was carved out by the glacier. 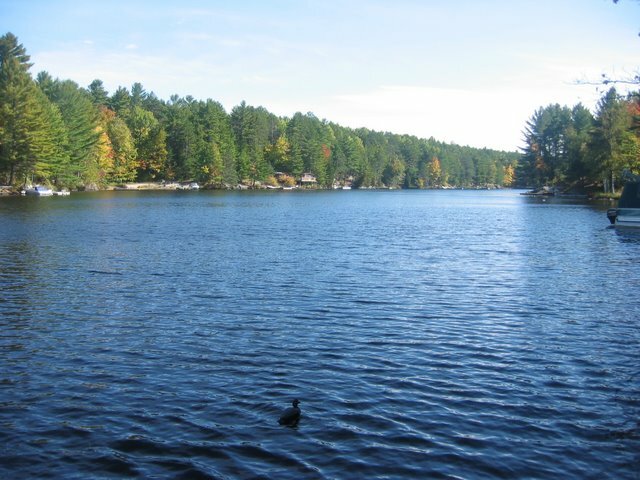 Gravenhurst is only a 5 minute drive for shopping and the Muskoka Bay Golf Course ( rated one of the top 10 in Canada ) is on the roadway into the lake. In the summer there is a lakeside church service on the shore of the lake. This lake was part of the Indians route to Sparrow Lake from Lake Muskoka. 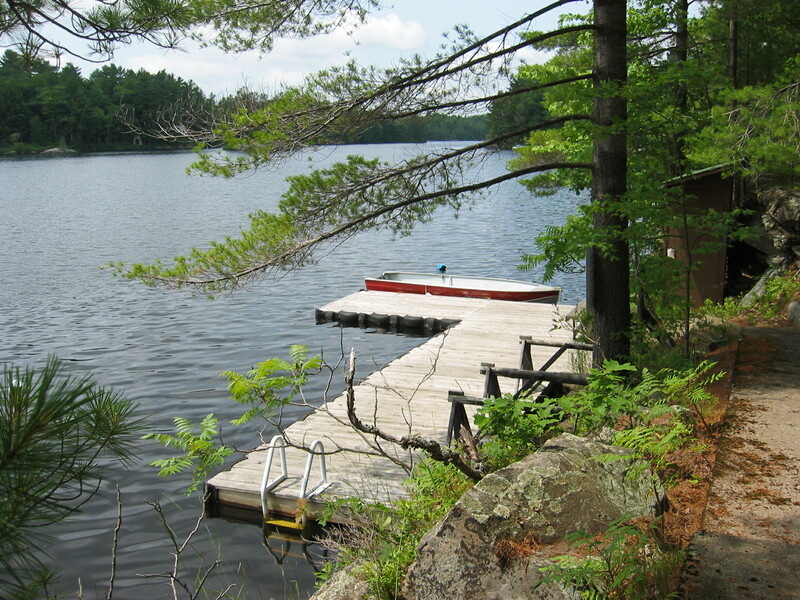 Muldrew Lake was named after the lake’s second cottager, Dr. William Hawthorne Muldrew. He was the principal of the first Gravenhurst high school in 1894. In 1901 he published a book called Sylvan Ontario, A Guide to Our Native Trees and Shrubs. It was the first book published on this subject in Ontario, and the drawings were his own. 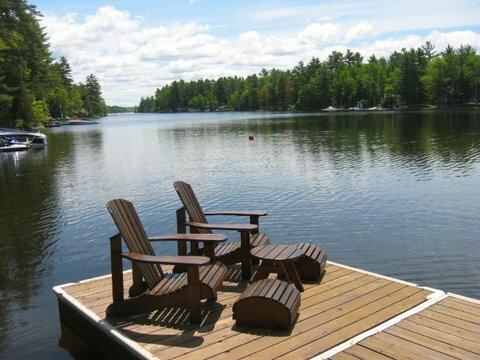 The research department for Muskoka Real Estate Services has found that on Muldrew Lake between 2015 -2017 prices have varied between $340,000 and 1,900,000. with the average price being closer to $520,000. Eight cottages sold for over $1,000,000. For properties for sale on this lake call Muskoka Real Estate Services at 705-687-7777.